It’s amazing how much you can enhance the ambience of a room with little effort. This can be achieved particularly easily with curtains from the Rustico collection. 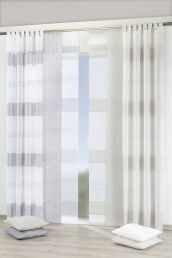 During the day, the semi-transparent and opaque fabric can be used to discreetly shade spaces, which during intense sunlight creates fascinating light patterns. 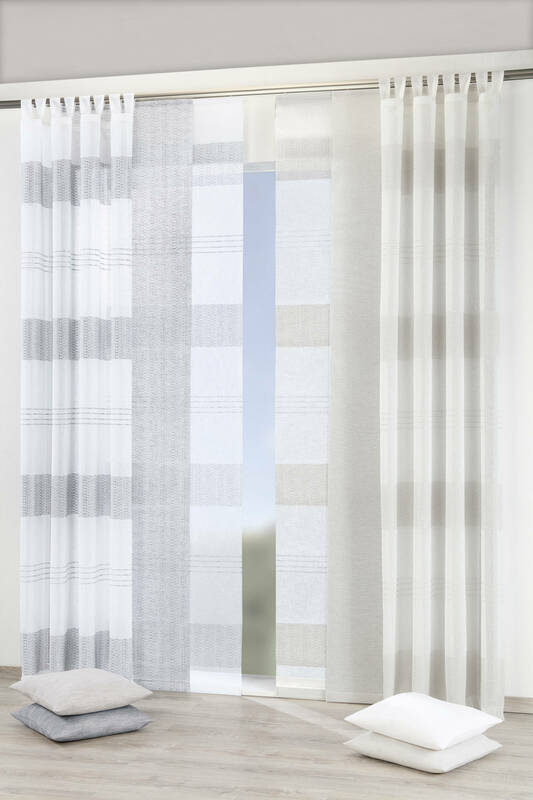 The design comprises sliding curtains with a subtle stripe look, which can be combined perfectly with matching unicoloured panels. They bring the window to life without dominating the existing living concept. Thanks to the high-quality polyester fabric, all elements are extremely easy to maintain and durable.